Every trip made by e-bike will make the air a little cleaner, the rider a little healthier, and the traffic and parking a little better. Where Can I Ride e-Bikes in Jackson? The popularity and accessibility to Electric Bikes is rapidly expanding. There have been many challenges for the rule makers and users on where Electric Bikes should and shouldn’t be allowed. We, of course, think E-Bikes should be able to go anywhere a regular bike can go, with some limits depending on the classification of the E-bike. For your information, this is a breakdown of the current e-bike regulations in Jackson Hole. National Forest: YES (where motorized vehicles are allowed. ie North Shadow Mountain, Fall Creek, Mosquito Creek, Gros Ventre). 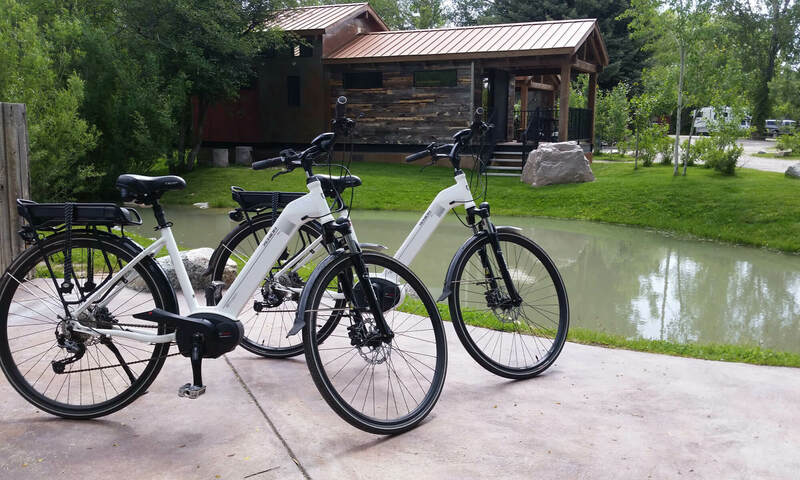 Currently, E-Bikes are not allowed on our vast network of excellent mountain bike trails including Cache Creek, Game Creek, and Teton Pass. What’s the penalty? According to this Wyofile Article on E-Bikes riding an E-Bike in a Non-Motorized area can cost you a $225 ticket. Winter Riding: The Bridger Teton National Forest in the Winter of 2017 start allowing e-bikes on winter travel routes. These routes are maintained by money raised by required snowmobile resident and non-resident permits. If you’re going to play and ride on these trails, please show your support of their grooming efforts by purchasing a permit for $40 available here. If you purchase a non-resident permit, it does not require a vin number (just a little easier and the money goes to the same place).